Lighten up for good with Clinicians Complex 6% Bleaching Cream. It is great for removing sun spots, age spots, freckles, pigmented scars, and melasma. It contains a blend of three proven skin lightening ingredients that work together to provide the most potent, yet gentle results. Ideal for those with hyperpigmentation and skin discoloration who want even-toned, clear and bright skin. 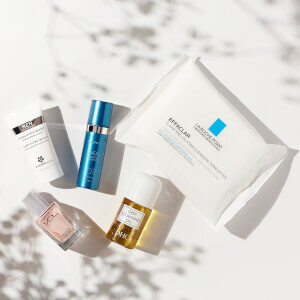 Apply to clean skin both morning and night. Desired results are achieved with consistent use of this product. Application of sunscreen SPF 15 or higher is mandatory on a daily basis. Hydroquinone 2% bleaches hyperpigmentation. Kojic Acid 2% naturally lightens the skin. Bearberry Extract 2% inhibits the production of Tyrosinase. I like this cream and I use it along with the bleaching cleanser. I have been using faithfully twice a day for three months so far and have seen great improvement in my melasma. I have tried many products but this is the only one that truly works! This cream really does a great job in lightening up my melasma. 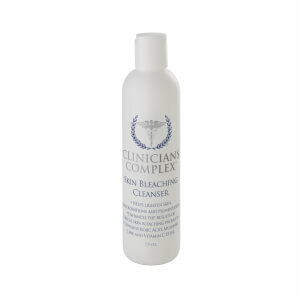 I also use the bleaching cleanser and they work great together. This is the only product that has helped my melasma. This is my second jar I am using. Yes, It did clear my dark spots. I'm happy for that. You have to use it every day. I put it on before bed sometimes in the morning too. So far I see great results with this Clinician Complex Bleaching Cream. This is my third week using these cream. I can see a brighter skin. I think I need to used twice a day to get a faster result. So far the dark spot faded a bit after all this is my third week. I will be patient see how's the overall result. I keep forgetting to use it but have managed a couple days a week and it seems to have an effect. My fault it hasn't been what I hoped for. Am not using twice a day as suggested. But I do see slight skin lightening after 3rd apply. The product has a distinct smell. According to online info, not suppose to inhale. So not sure about safety in that part. Anybody can give some more info? Really seeing fast results since using this cream. It has only been a month since using it & I see my dark spots fading. It is a bit thick going on but I don't feel greasy afterwards. Just happy finally seeing my sun damaged spots fading. Worth the money. This is a really good product. I have seen results after just 3 uses. Helps with redness, Oily skin. Doesn't beak me out and keeps skin tone even. I have been using this product for a week only and I just love it. Its absorbs quickly into my skin and does not seem greasy. My melasma and sunspots are fading also. I have oily skin and very very sensitive skin. I was always worried about using any cream for melasma as I burnt easily with almost all creams. This is the only cream that has adopted well with me and I hope that all my sunspots etc will fade away soon. Loving it for now.